Often the small, simple things are the ones that can save you the most time. Perhaps because they are easy to remember to use?! SOLIDWORKS 2015 has many of these awesome time savers just waiting for you to take advantage of. Today we are going to look at the NEW super easy way to add relations in SOLIDWORKS 2015. This will be great for new users to the software because it is so instinctive, but also save experienced users tons of time as well. 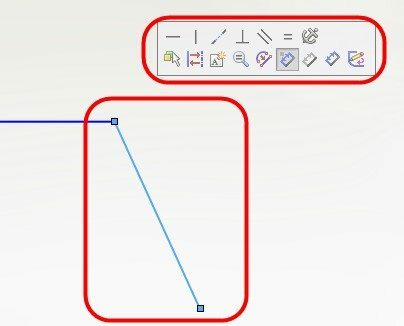 One of the quick and easy methods for adding relations in SOLIDWORKS 2015 is to just do nothing! Just draw a line as you normally would. As soon as you end the line or arc or spline at the endpoint of another entity, you will be instantly be prompted if you want it to be tangent, collinear, perpendicular, paralell, curvature continuous, etc.! No more drawing it, deselecting it, then going back and ctrl+ selecting both entities just to get the relation… Can’t get much easier than that! The other super easy way to add relations, in this case after the entities have been drawn, is to simply click the vertex (corner) of the two. You’ll get the familiar relations pop up you were used to in the past by ctrl+ selecting the two entities, but with less clicking and less to remember! Hope you implement SOLIDWORKS 2015 sooner than later so YOU can start taking advantage of all the great time saving enhancements! I don’t usually comment but I gotta tell regards for the post on this special one : D.